At Satellite 2017 the Satcom Division of Communications & Power Industries LLC (CPI) is introducing a new TouchPower™1.25 kW SuperLinear® Ku-band rack-mount traveling wave tube amplifier (TWTA) at Booth 908. This is quite an improvement as the newest TouchPower is capable of providing 50 percent more linear operating power than the company’s existing five RU 750 W TouchPower TWTAs. 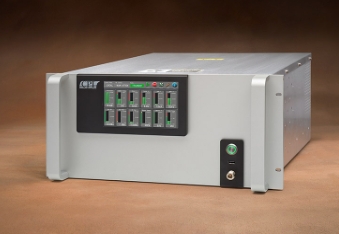 The new 1.25 kW rack-mount unit is also more efficient than the 750 W version, and can easily slot in as a form-fit-function upgrade in those cases where more linear power is desired. Gerard Charpentier, CPI Satcom Division’s director of business development for commercial products said that to combat rain fade issues, direct-to-home operators have a very real need for higher power broadband amplifiers, and CPI’s newest amplifier more than meets that need by providing the high power required in a package that saves rack space and provides the most advanced interface technology in the industry. CPI SuperLinear® TWTAs are optimized for maximum efficiency at linear radio frequency (RF) operating power levels and can be provided in highly efficient redundant or power-combined configurations.